About the course: You don’t have to be a burly bearded man to hit an anvil or solve the riddle of steel. 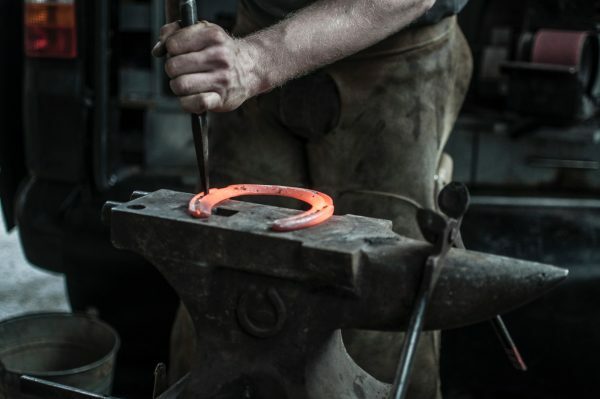 Get comfortable with traditional methods of metalworking regardless of stature or experience in this introduction to blacksmithing. If you have a desire to learn, appropriate clothing and enough strength to swing a hammer you can forge your skills to bend metal to your will in this workshop. What you’ll learn: In this certification workshop attendees will learn how to orient themselves to properly approach the anvil and swing a hammer. Different steel heat colors will be explained and their uses as well as the various ways to hit the anvil and steel. All while demonstrating safe practices for blacksmithing. Please note: Workshop attendees will need to be properly outfitted to attend this course. This includes: closed toed leather boots, a long sleeve shirt, long pants, and a way to secure long hair are mandatory. Safety equipment including protective glasses, gloves, and hearing protection are provided by MAKE Santa Fe.